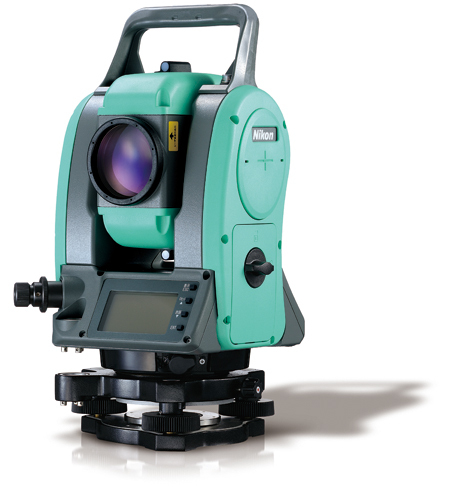 Nivo5.SC, which was introduced in 2009, is a surveying instrument of a new era which suits the catch phrase A new style to enjoy in all scenes of surveying. The optical telescope, which can measure a distance between 1.5 till 5000 meter with single prism or a distance between 1.5 till 300 meters without a prism, has a high accuracy and achieved a light weight of 3.6 kg. It is so small that the base part fits into a hand and the size is so compact which allows portability. In general specific industrial device focus on technological accuracy and tends to overlook design. However, in order to use its full capability, a trust is needed in between the machine and the users. From this point of view Nivo5.SC with a epochal small and light design with streamed form which fits in a hand and with the colouring which improve the visual environment in constriction sites, has a good design for professional and adapt to a long term work which requires concentration duration and precise work outdoor.